The Arbortec phone pouch keeps your phone protected from the harsh weather conditions when out and about. Dirt, water and general wear and tear is no problem when inside this soft and sealable smart phone pouch. 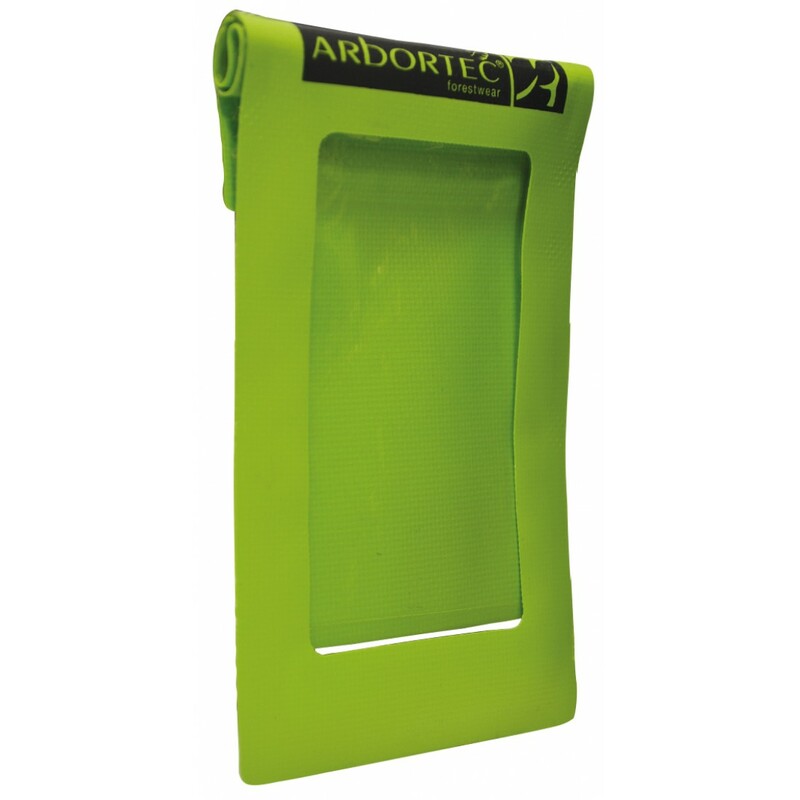 Just because it's small in size doesn't mean Arbortec have paid any less attention to this pouch as it is made from the same lime green waterproof fabric as their bag collection. All made with a roll and seal, hook and loop top opening for easy access. Arbortec have also designed this pouch with a conductive, transparent cover which is touch screen compatible, so the phone can still be used without removal, which is great for all you social media lovers out there.